Our WodaCode4s and WodaCode filter systems protect the sensitive high-pressure system of waterjet cutting systems from contamination and thus reduce wear and maintenance costs. Cost savings: Maintenance intervals of the high-pressure pump are extended by 50 – 500% with short service lives. Operational safety: Water-related malfunctions or damage to the high-pressure pump are considerably reduced. 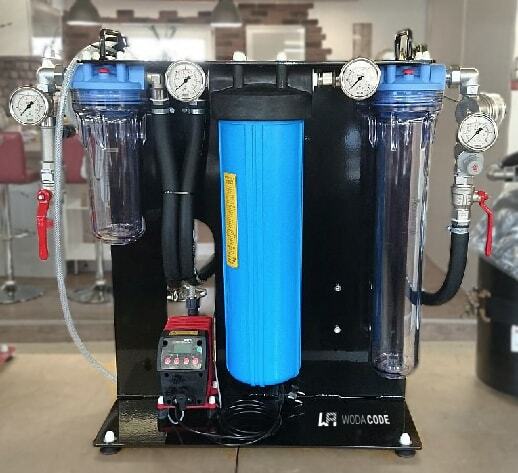 Fast amortization with moderate consumption costs for replacement filters and dosing additives.